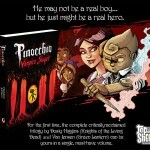 Pinocchio Vampire Slayer » He's got a nose for evil. 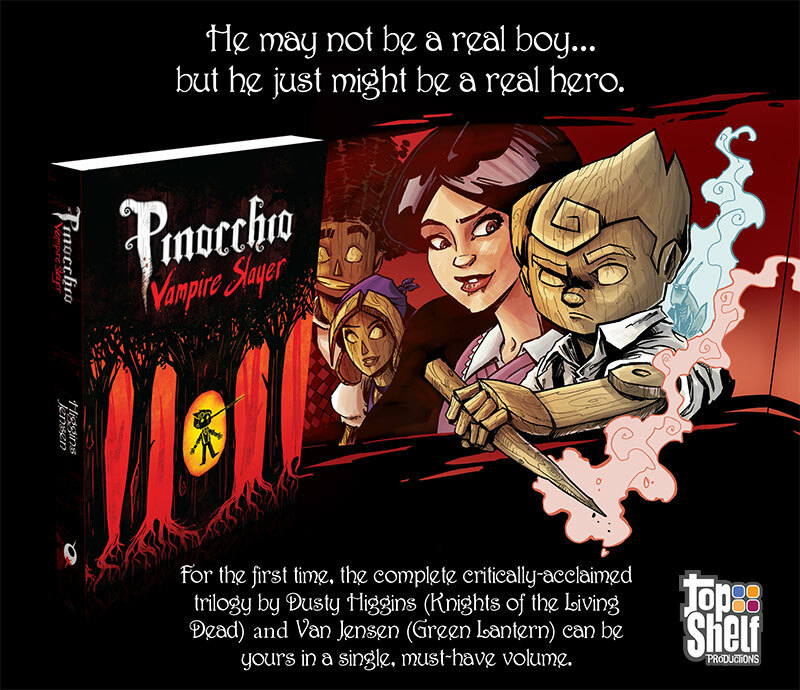 The first-ever complete collection of all four Pinocchio, Vampire Slayer volumes is now available for pre-order through Top Shelf! 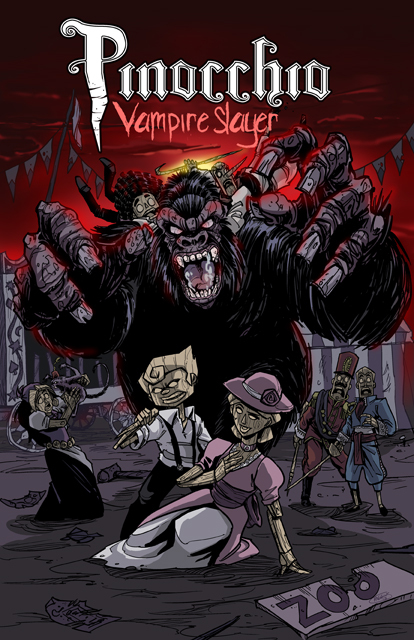 It’s 528-pages packed full of puppets slaying vampires, and will be released in June. Check out what’s already been said about it. 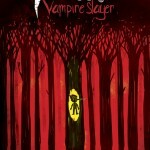 Pinocchio, Vampire Slayer Vol. 1 is once again available digitally! Visit Top Shelf to find digital downloads for the low price of $4.99. 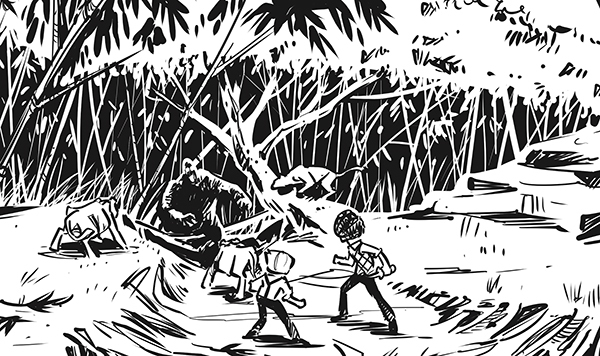 Because we love our fans so much, we wanted to give away some free copies through Comixology. 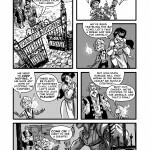 We have five free download codes available for the book. To enter for a chance to win one of the codes, just post a comment on the PVS Facebook page letting us know that you want one. We’ll choose the winners tomorrow afternoon. 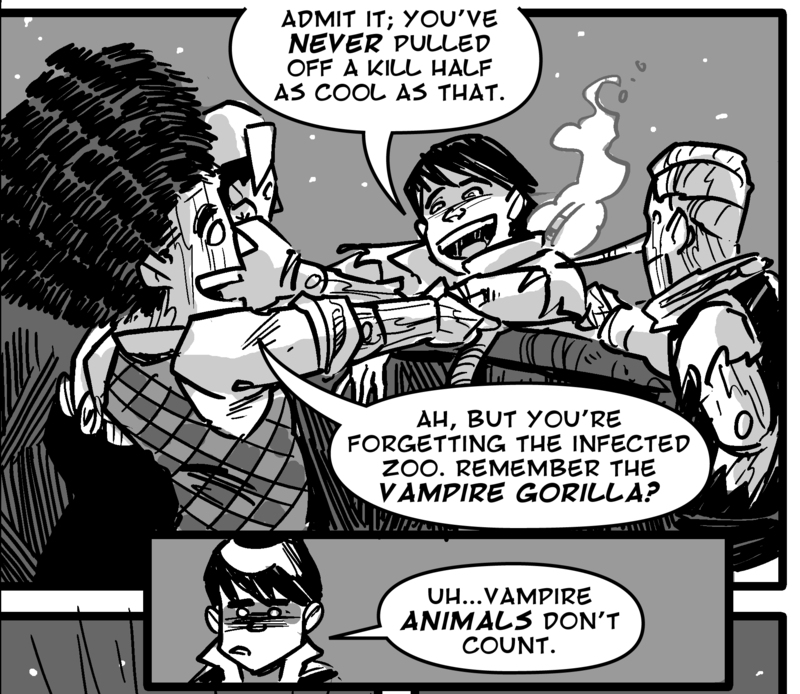 Those of you who have read the third volume of Pinocchio, Vampire Slayer may recall a certain panel that mentions a vampire gorilla? 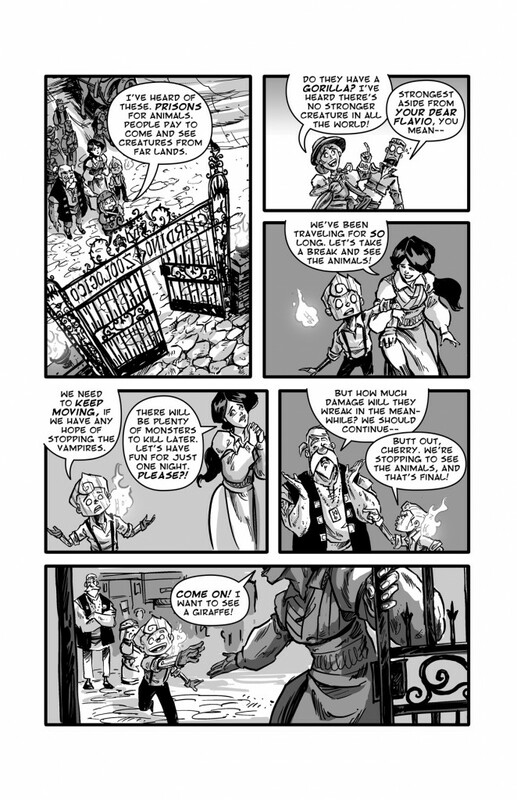 It’s a ridiculous story that really has no significant bearing on the main plot, but Van and I have always planned on eventually telling it. We just got one step closer (See image below). 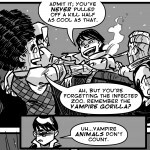 BONUS: it will feature all your favorite vampire-slaying puppets! 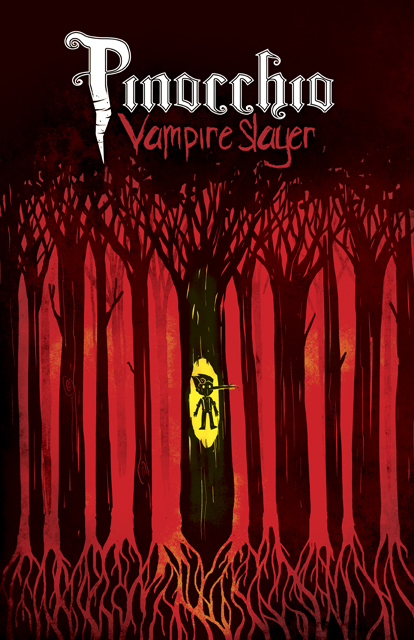 This will be a short-story in the Pinocchio, Vampire Slayer universe and Van and I are still working out the details of exactly how it will be made available for folks. 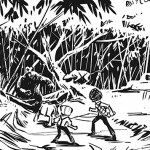 Keep an eye out for future updates!